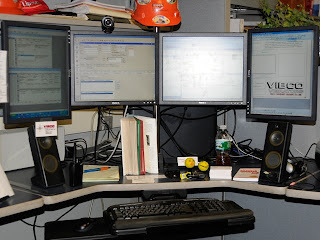 Giovanni used a single monitor and needed to have multiple applications opened simultaneously. It took a long time to navigate between all the applications and this had a negative impact on customer service levels - particularly when there were several customers needing Giovanni's attention. 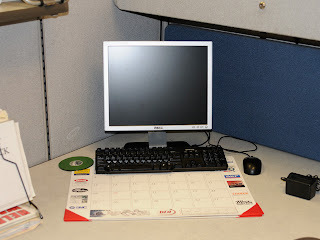 Giovanni had the idea that if he added a monitor he could do more for the customer faster with less repetitive motion. And it worked great! So he added a 3rd monitor and, guess what? It worked even better! He found that he could reduce his call time and increase efficiency while improving the level of service to the customer. Ultimately, Giovanni added a 4th monitor and again showed increased efficiency and faster results for all customers (internal and external)!